New results of the TU Wien now show that previous models of this process are incomplete. The effects of solar wind bombardment are in some cases much more drastic than previously thought. These findings are important for the ESA mission BepiColombo, Europe's first Mercury mission. The results have now been published in the planetology journal Icarus. 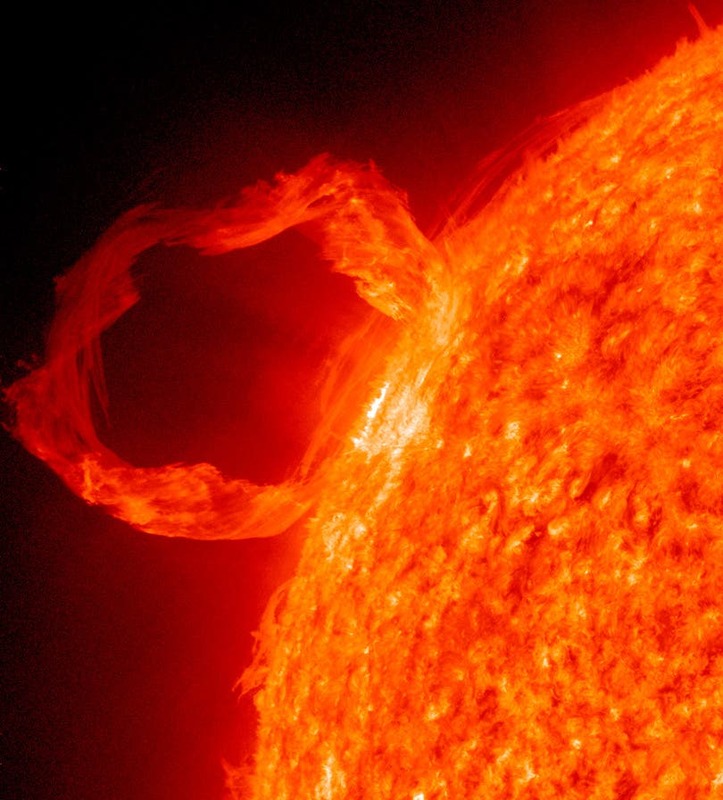 "The solar wind consists of charged particles – mainly hydrogen and helium ions, but heavier atoms up to iron also play a role," explains Prof. Friedrich Aumayr from the Institute of Applied Physics at TU Wien. These particles hit the surface rocks at a speed of 400 to 800 km per second and the impact can eject numerous other atoms. These particles can rise high before they fall back to the surface, creating an "exosphere" around the Moon or Mercury – an extremely thin atmosphere of atoms sputtered from the surface rocks by solar wind bombardment. This exosphere is of great interest for space research because its composition allows scientists to deduce the chemical composition of the rock surface – and it is much easier to analyse the exosphere than to land a spacecraft on the surface. In October 2018, ESA will send the BepiColombo probe to Mercury, which is to obtain information about the geological and chemical properties of Mercury from the composition of the exosphere.